That hatchet you’ve got is pretty nice, but it’s not being put to great use. Even if you’re doing some dispersed camping in a no-name neck of the woods and chopping down your own lumber, you’re still not using that hatchet to its full potential. These ten methods on using your hatchet will turn you from a new camper, into a seasoned survivalist that will begin to think outside of the box in unique situations. Let’s show you how to master the hatchet. Try as you might, your bare hands aren’t going to separate large sheets of bark from that old tree ahead of you. If you need to make an emergency shelter in a hurry, your camping hatchet is the ultimate tool. You can use it to cut open your paracord survival bracelet so you can tie branches together, help you actually acquire those branches, and shape bark in order to create a roof. If you’ve found a nice little nook in the middle of nature, you can also use the hatchet to pull debris and dead leaves out of any tight spot, so you won’t end up with critters climbing up your leg when you prop up for the night. This is if you’re a winter camper, but let’s say that you’re trying to keep your freshly caught ice fishing haul chilled until you get back to camp. You don’t want to just leave the air to get at it; food oxidizes and can go bad, even in 20 F weather. Hack up the ice from that ice fishing spot to make a makeshift cooler and tie two pieces of ice together with paracord. As a matter of fact, you can even use the hatchet to cut the hole in the ice in the first place, if you don’t have an auger with you. First thing’s first: understand that there are different types of wood, and some are better for campfires than others. 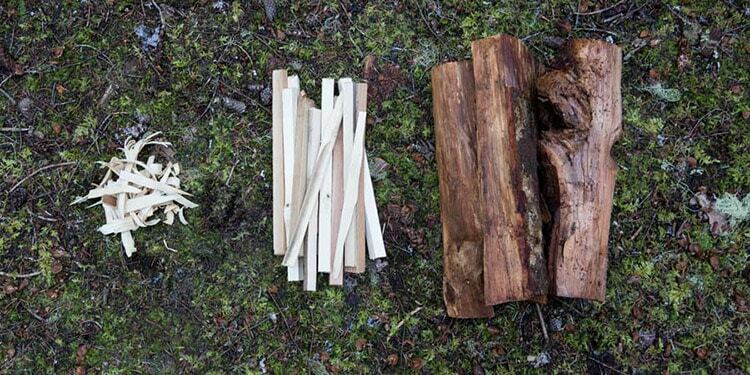 This won’t work on all types of lumber, but for the most part you’ll be okay to create better campfire. 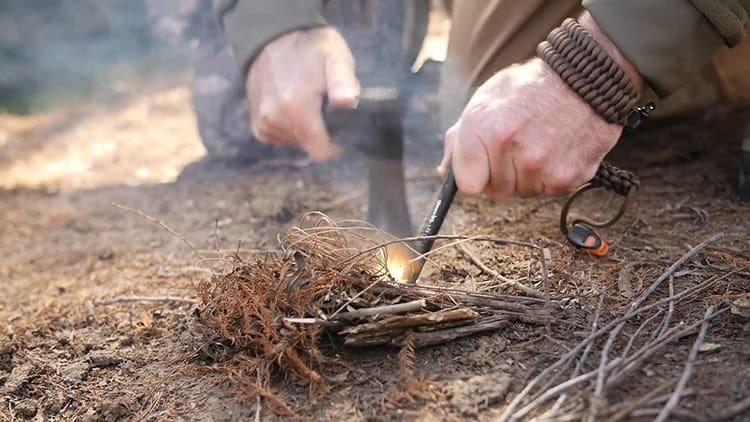 Finding kindling in the forest is a good way to live off the land instead of buying new firewood, and that kindling can be improved by removing moist bark, scraping away rot, and exposing the drier, more flammable areas of that firewood. You’re basically using your hatchet like a really aggressive knife, which brings us into the next use. 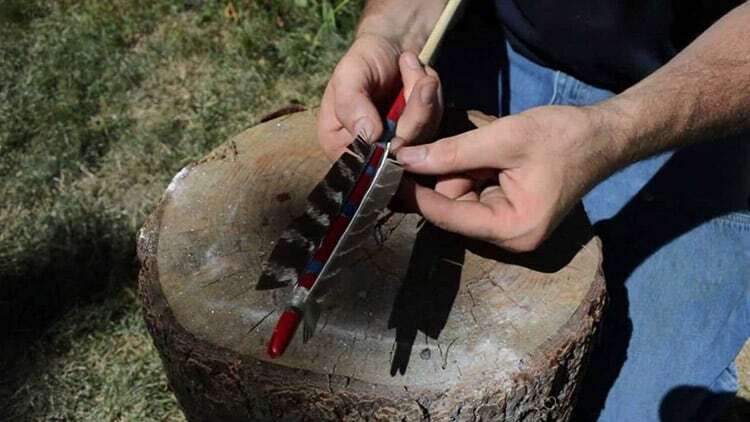 Fletching is an age-old art of making bows and arrows, but since we’re obviously not the same society that existed a millennium ago, we can use fletching in a much more creative way. Your camping hatchet is designed to split and shave wood, so why not spend those last few hours of natural daylight by making something from scratch? Find a good piece of solid wood in the forest, carve it into something, and improve with every camping trip. Before long, you’ll be saying, “That’s not half-bad,” and whatever you made will become an ornament in your fifth wheel or home office. You can drive tent stakes when setting up a tent into the ground without a hammer, or hurting the bottom of your hand. 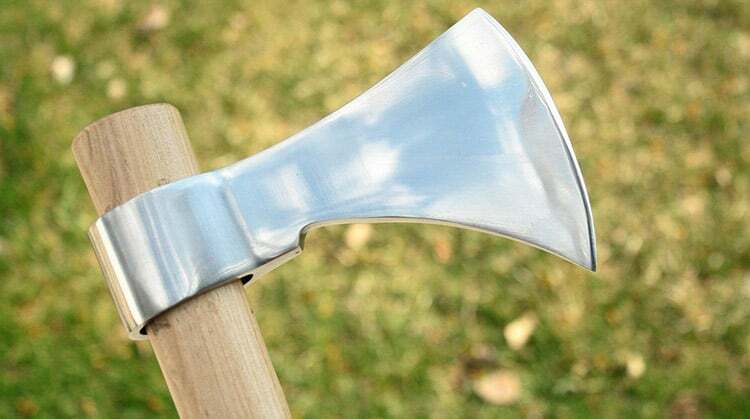 So long as you don’t have some viking-era medieval double-sided axe, you can use the back end in place of a rubber mallet. Most of these will be made out of the blade edge material, so do be careful to not split fragile ABS plastic tent stakes with a stainless steel axe head. You can also use it to drive hammock stakes into a tree, undent pots and pans that may have gotten damaged in transit, and break open packages that just won’t budge. You’ve likely seen some hatchets with fire starters that come as a kit. Even if you don’t have one of those, you can still use your hatchet with some nearby rocks to get a spark going. 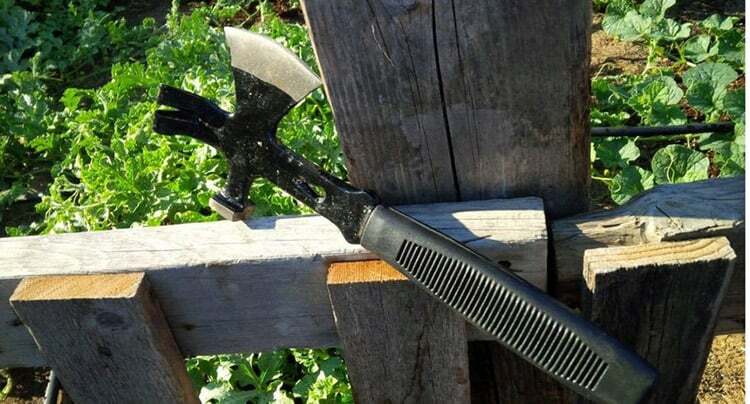 The most efficient way to do this is by using the back end of a hatchet to split a rock in half, and use the smooth interior side against the edge of the blade. Run it along the entire length so that, if you’re successful, the spark will sling from the end of the edge. This can take some practice, but it’s a lot faster than rubbing two sticks together. We’ve covered EDC and survival knives, and while they’re definitely good to defend yourself in a pinch, they’re going to prove problematic against a grizzly or a tomcat. The goal here is to disengage and find safety, but to do that, sometimes you need to showcase that you have more power than they do. 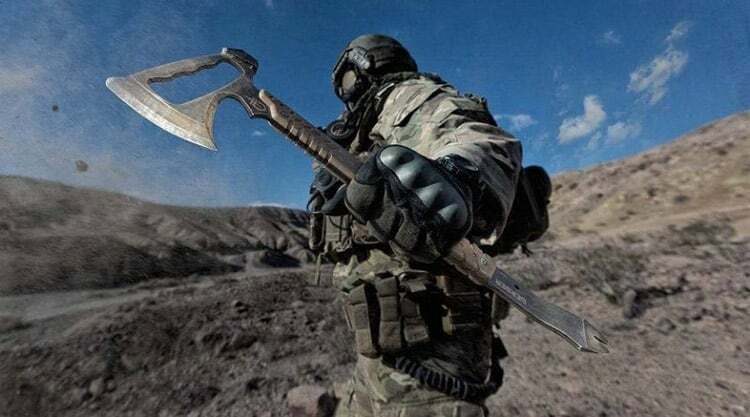 Hence, the hatchet: a visible weapon of a decent size. Every predatory animal is different, and you should do what you can to rotate and evade them at all costs, but if one of them is coming at you and there’s no other option, you’ll feel safer (and defend yourself better) with a hatchet in your hands. This one can be a bit tricky, but if your hatchet is fairly new or you polish it regularly, you can reflect sunlight to make an SOS signal to a helicopter or plane. Stainless steel hatchet heads work best for this. If you have a dry rag handy, wipe the hatchet clean on one side, and begin angling it slowly in the direction of the sun. There’s going to be a very thin line of light that you’ll see in a flash: that’s the sweet spot. Continuously reposition the hatchet head in the direction of this light to create a strobe-like effect. Having a good filet knife or your utility knife handy is good, but your hatchet can cover more ground with a wider blade. Cleaning a fish is a difficult task; you’re not left with much to work with if you botch it, but the curved edge of a hatchet can better contour to the shape of a fish and create a quicker, cleaner cut. When it comes to game, just be careful that you’re not hacking into the meat and ruining it. This may seem like the most basic use, but it’s usually a job for an axe instead of a hatchet. If you get the right angle and choose your kindling carefully, your hatchet can be a one-hit wonder and split logs with half of the force you’d need from an axe. It’s easier to maintain the sharp blade on a hatchet, which you’ll need when you’re forced to buy lackluster firewood from the campground shops. You can’t bring your own, but nobody said you can’t improve or split the firewood that you end up buying. 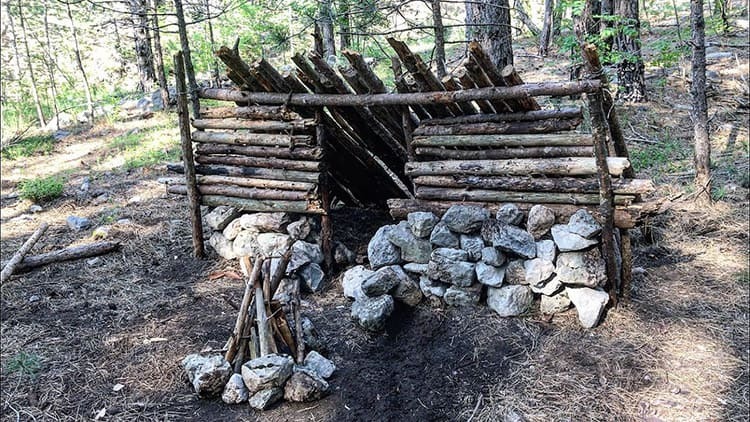 Creating shelter, self-defense, and using it as a fire starter as just a few essential, survival-based uses that will get you out of a pinch. Plan for the unexpected, and be prepared with everything. If you want to master your other camping tools and equipment, we have numerous guides on transforming you into a camping connoisseur in no time. Together, we’re going to get you prepped for anything and everything that could happen.